Set of 7 Halloween Cookie Cutters. Create some black magic in the kitchen with these 7 spooky cookie cutters. Your Little Cook will be casting a spell on their friends and family when they create delicious cookies in traditional Halloween shapes. 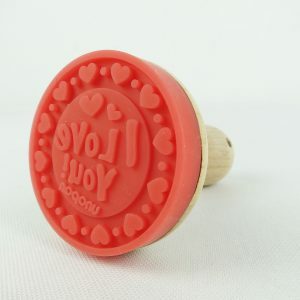 The cutters will delight and keep your Little Cook entertained for hours as they transform their cookie dough into an assortment of different shapes. With so many options to chose from, your Little Cook will be creating spooky Halloween treats in no time at all. 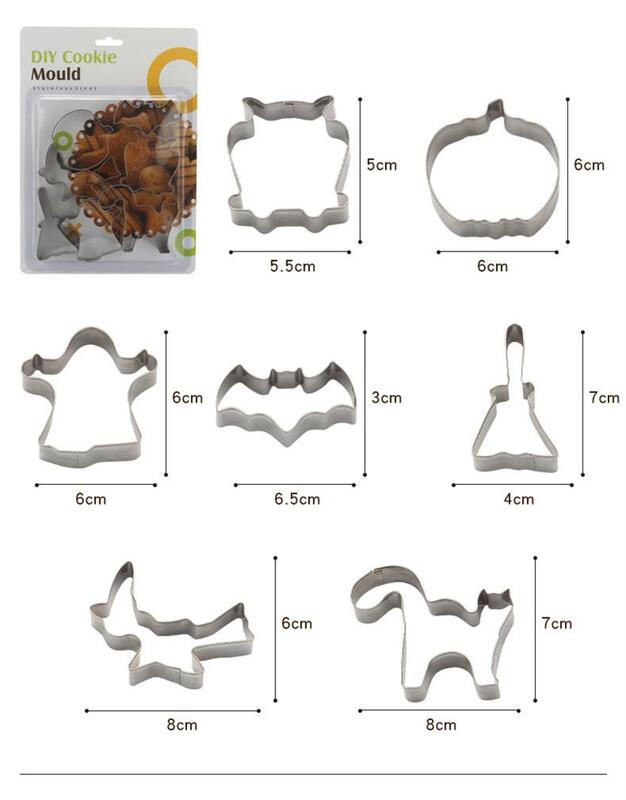 Set of 7 Halloween Cookie Cutters – a spooky assortment of large and small shapes to choose from. Your Little Cook will be able to create an array of Halloween cookies with these fun designs. Kids have so much fun cutting out cookies in different shapes and sizes and they will have so much fun decorating them in scary and spooky designs. 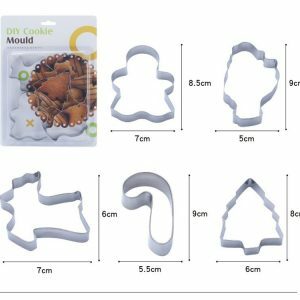 These 7 metal cookie cutters are easy to use and clean and come in an assortment of sizes. Which one will your Little Cook choose as their favourite?